Because of this, I was cautiously optimistic to see Curtis Sittenfeld had chosen as the Pride & Prejudice scribe, changing the title to Eligible. The premise sounded so fantastic: Mr. Bingley becomes Chip Bingley, recent contestant on The Bachelor-esque show Eligible, who has moved to Cincinnati to be the newest ER doctor alongside his old friend and neurosurgeon Fitzwilliam Darcy. The Bennet family remains intact yet aged up a bit, with the parents and younger sisters living in Cincinnati in a large-but-seeing-better-days Tudor home and Jane and Lizzy making their way in New York City. After Mr. Bennet has a health scare, the family comes together to find that things aren't always as they seem from a distance. 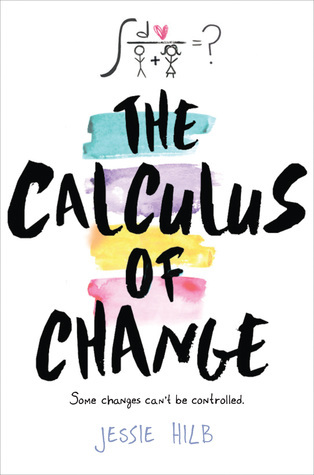 At first, I couldn't get enough of the changes-- Mary as a perpetual grad student, Kitty and Lydia being super into Crossfit (because OF COURSE they are), Jasper Wick as Lizzy's long-time colleague in the journalism world, who is so douchey it's almost painful. I also enjoyed the fact (sadly I cannot think of another way to say this so get ready) that this ain't your mama's Pride & Prejudice. Lizzy and Darcy have something going on here that I've certainly never seen in any iteration of this story before. Yet, the further I got in, the more I could hear those voices in my head: "This isn't close enough! Yet it also doesn’t change enough!" In many ways, those voices couldn't be more wrong. 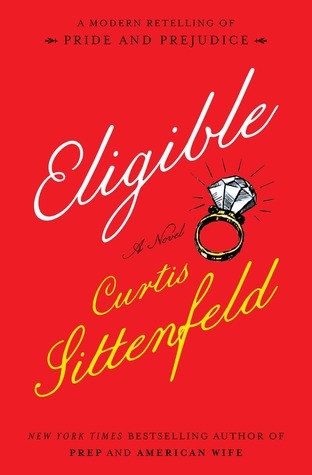 Though I might not have always liked the new characterizations, once I took off my heart-eyes blinders, I saw what Sittenfeld was going for, and I liked it. I thought the Eligible reality show aspect worked perfectly (even though I've never been a fan of The Bachelor/ette) and I liked the new take on Catherine de Bourgh. Keeping away from spoilers, I will say that I originally thought the Lydia scandal storyline was going to go a certain way which left a very bad taste in my mouth, and I was especially glad to discover that I was wrong. In fact, Lydia post-scandal was one of my favorite characters. The problem lies in that I wanted to like this more than I actually did. It all clicked once I had a few days' distance between us, but in the moment, I unfortunately felt a little let down. I think I set my expectations far too high, but even with that, it fell flat for me. It didn't carry the atmosphere of the original with it, which is a shame, because that's the mark of a good retelling in my opinion. The writing felt too dry in spots, with Mr. Bennet and Lizzy especially coming across as rude and dismissive rather than witty, and Mrs. Bennet as downright painful instead of a comical bag of poor nerves. When the inevitable happens at the end, I didn't feel it was earned at all. I would still say this is worth the read, but keep your expectations in check and understand that Eligible may not hit every mark. It will however keep you entertained.